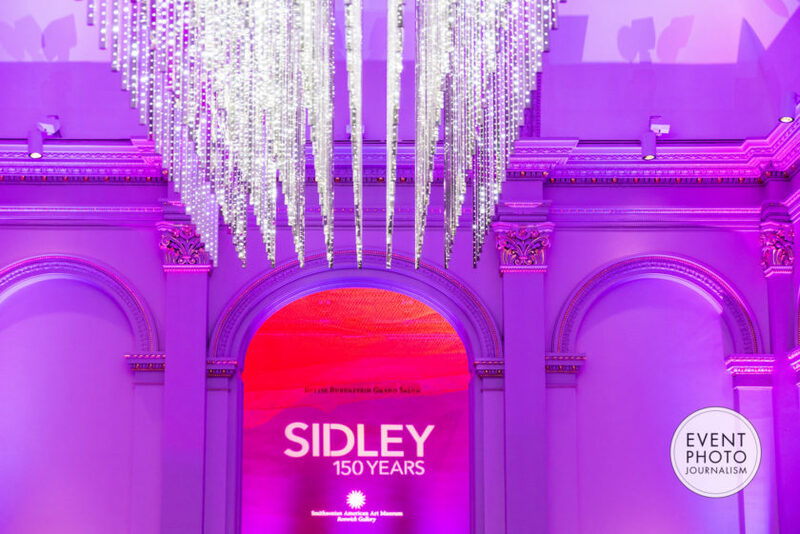 On May 4, 2016 we had the pleasure of photographing Sidley Austin LLP’s anniversary celebration at the Renwick Gallery in Washington, DC. Sidley Austin LLP is a global law firm with 1,900 lawyers in 20 offices in the key business and financial centers around the globe. With a practice highly attuned to the ever-changing international legal landscape, Sidley has built a reputation for being a powerful legal adviser for global businesses. At Event Photojournalism, we offer specialized and excellent services to our clients when it comes to Corporate Anniversary Photography. With a team of professional photographers that have the proficiency to handle the intricate aspects of photography at corporate parties, the company has years of experience in the corporate event and photography industry. We understand that corporate events, especially corporate anniversary parties, are an integral part of the company culture, as it may be the only event each year where all company leadership, board of directors and employees come together to celebrate the year’s successes and create synergy throughout the company. We provide some of the top photographers to cover these events that have the ability to capture the most dynamic and creative shots. With flexible services that are fine-tuned to serve the needs of each of our corporate clients, we implement the best technology in photography. About The Renwick Gallery: The Renwick Gallery is home to the Smithsonian American Art Museum’s collection of contemporary craft and decorative art, one of the finest and most extensive collections of its kind. The museum’s home is a National Historic Landmark, the first built expressly as an art museum in the United States, and is named in honor of its architect, James Renwick, Jr. It has been a branch of the Smithsonian since 1972. Event Photography for Sidley Austin LLP at the Renwick Gallery in Washington DC by Event Photojournalism.